My next book will be titled The Ultimate Tiny House Builders Collection. It will feature tiny houses made by professional builders. There is no cost for Tiny House Builders to include two houses in the book – I want every builder represented. The submission period is coming to an end on May 31, 2018. The goal of this book is to create an easy way for tiny house buyers to find builders. Enter your house in the 2018 Tiny House of the Year competition and get into the Tiny House of the Year – 2018 Book! That’s right I’m going to take all the entries to the 2018 Tiny House of the Year competition and make a full color book out of them – with each homeowner’s permission of course. 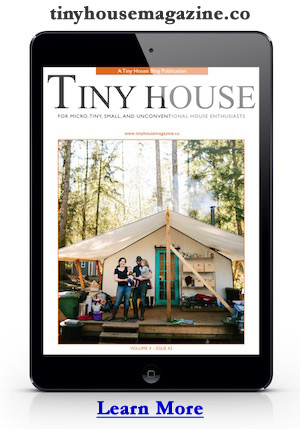 This way everyone can have their very own copy of the best tiny houses. This entry was posted in Announcement and tagged The Ultimate Tiny House Builders Collection, Tiny House Builders, Tiny House of the Year.